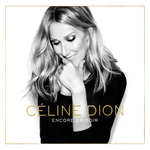 Celine Dion will be back on stage next week for a series of performances for her 2016 tour. And the superstar made an entrance in Paris, emerging from the Royal Monceau hotel on Wednesday looking chic in a black mini skirt and collared shirt. The singer is in Europe for performances in Belgium and Paris, five months on from the death of her husband René Angélil. She added a long black coat, draped around her shoulders and carried a leather tote bag, while her long locks were swept to one side. The singer gave a wave to fans waiting outside her hotel before jumping into her car. 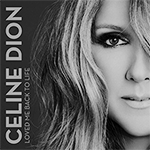 Celine is due to kick off her mini tour next week in support of her upcoming French-language studio album, to be released later in 2016. The tour will start with two performances in Antwerp on Monday and Tuesday before heading to Paris and then to her native Canada, with a final performance scheduled in Trois-Rivières on August 31. 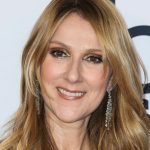 Celine has been determined to continue her commitments this year despite the sad loss of her husband at the age of 73 on January 13 following a long battle with throat cancer. Her brother Daniel died just days later. The star broke down on stage at her residency show at The Colosseum at Caesars Palace just weeks after her losses. 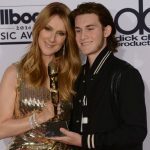 While during the 2016 Billboard Awards last month the My Heart Will Go On singer said that she wanted to prove to her children that she was strong and do her husband proud by following his mantra of ‘the show must go on’. 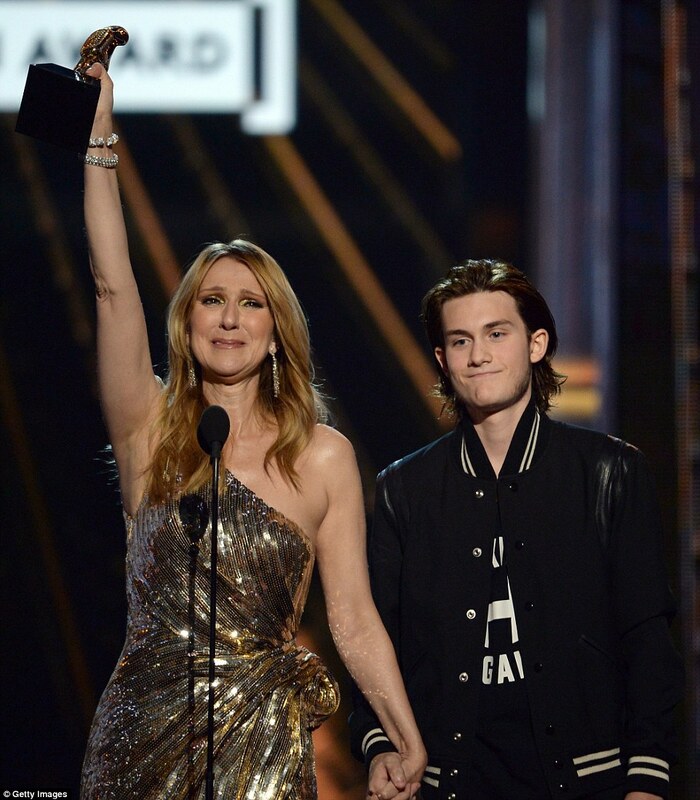 Celine’s son made a surprise appearance on stage to present her with the Icon award after she made her first televised singing performance since the death of her husband and her brother. Her eldest son René-Charles, 15, emerged on stage with her award. (She also has twins Nelson and Eddy, 5.). She was overcome with emotion as the crowd gave her a standing ovation and she apologized to the audience for crying. Many audience members were also reduced to tears during the moment. ‘I’m so sorry. I’m sorry for crying. I want to be so strong for my family and kids,’ she told the crowd. Earlier in the month the singer described her final moments with husband before he passed away in January. The singer revealed that she told René, her husband of 21 years, not to worry anymore and to go in peace. ‘You were worrying for my career. You were worrying for the children. You were worrying for everything. It’s enough. Do you trust me? Please do. 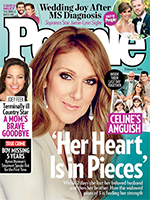 Trust me,’ Celine recalled telling the 73-year-old, who was her manager in addition to the father of their three sons. ‘The kids are fine. I’m fine. I promise you we’re gonna be okay. Please leave in peace. I don’t want you to worry.’ she remembered while talking to ABC News. Hello guys it’s Megan the site owner of CDO I thought I would share how my experience was seeing the queen live for the first time June 4th. Where do I began honestly? I bought my tickets 3 months ago and from there started planning my trip for Vegas as an early birthday gift to myself (birthday in july) and let’s just say I was beyond satisfied. Lets fast forward to show night. I was feeling all sorts of emotions excited, overwhelmed, thrilled it all nothing can compare to the feeling of seeing her in front of you though. Before entering the show I went to Celine’s store lets just say it has EVERYTHING you could of when it comes to merchandise. I walked out their spending $144 dollars Celine was worth every penny. I bought a tour program, 2 shirts, a Celine Foundation braclet and a DVD. Okay to talk about the show WOW! When the lights went low and she appeared on stage I was shocked and happy that she was in front of me. The pipes that came out her mouth though wow she’s one of the greatest voices of the female generation and NO ONE can deny that. We all knew she has that beautiful voice but hearing it live is a whole different level. To end it quickly all I can say is I left Caesar’s Palace wanting MORE! I am trying to go see her in 2017. I recommend anyone to go see Celine because she knows how to put on a show. Below are some photos I took they aren’t all. YES I did tag them kind of big because people are thiefs and love to take peoples photos they OWN and don’t provide credit. 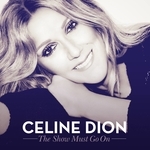 So a little less over a month ago we all saw Celine’s emotional tribute to her husband as she performed “Show Must Go In” which she says she did for him because he loved that song and always told her the show must go on. 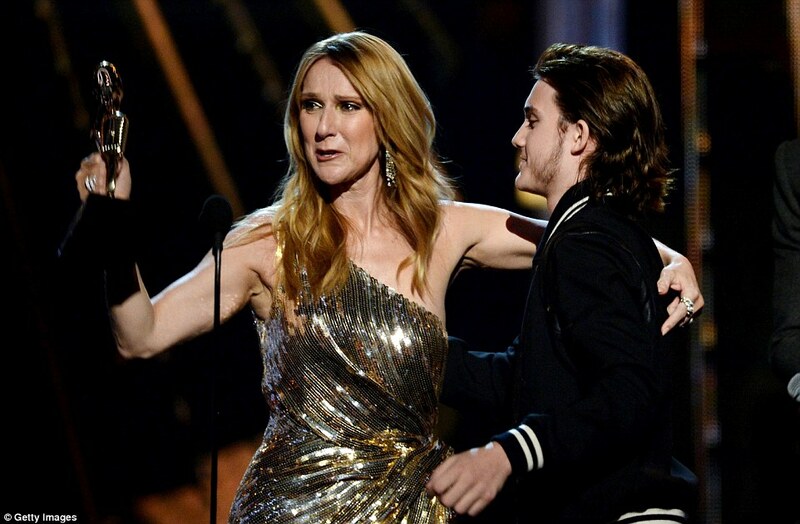 When finishing up her performance she was honored with the Icon Award and what shocked her and made her cry was her son Rene-Charles who presented her with the award. Below I have added 400+ screencaptures from the Video introduction and her performance. I uploaded them UNTAGGED so if you repost PLEASE credit me. While the program is still yet to be named (they’re currently calling the brand “Celine Dion” as a placeholder), the initial stages of conceiving the multiple lines and rollout planning are done, purposely timed to take advantage of the International Licensing Show in Las Vegas, where Furano says they already have three days of meeting with mid-tier department stores booked for the brand. Unfortunately, you won’t be able to get your hands on a Celine Dion product anytime this year. Epic Rights and Feeling Productions (Dion’s Canadian-based production company) will be rolling out the goods in Fall 2017 over an 18-month period, starting with active wear, accessories, eyewear, beauty, and travel products and introducing new product lines over the following three years. U2’s Bono, Celine Dion, Blake Shelton,Mandy Moore and former Spice Girl Mel B will all be taking part in this year’s Red Nose Day Special this Thursday to help raise money and awareness for children living in poverty. They join Ellen DeGeneres, Jack Black, Paul Rudd and many more participating in the second annual event to be broadcast live Thursday night on NBC from 9-11 p.m. ET, featuring comedy, musical performances and short films, all intended to shed light on children in need across America and around the globe. The United Kingdom-originating Red Nose Day has raised over $1 billion globally over the last 25 years, according to organizers. It now runs in 15 countries internationally and launched last year in the U.S., raising more than $23 million locally. 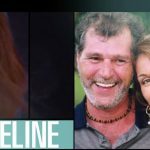 Below are some very touching and emotional interviews from various shows where Celine talks about her performance, her son Rene-Charles and more. 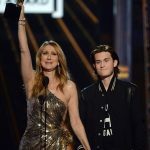 Celine took part in the Billboard Music Awards on Sunday May 22nd in Las Vegas, Nevada where she performed and received the icon award. 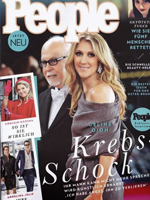 Celine performed “The Show Must Go On” and was presented with the Icon Award by her son Rene- Charles and which she was shocked because she did not expect it. To view the performance: Click Here . To view the speech: Click Here. I have added 40+ photos from the press room in gallery, 50+ photos from the show and 10+ photos from backstage. 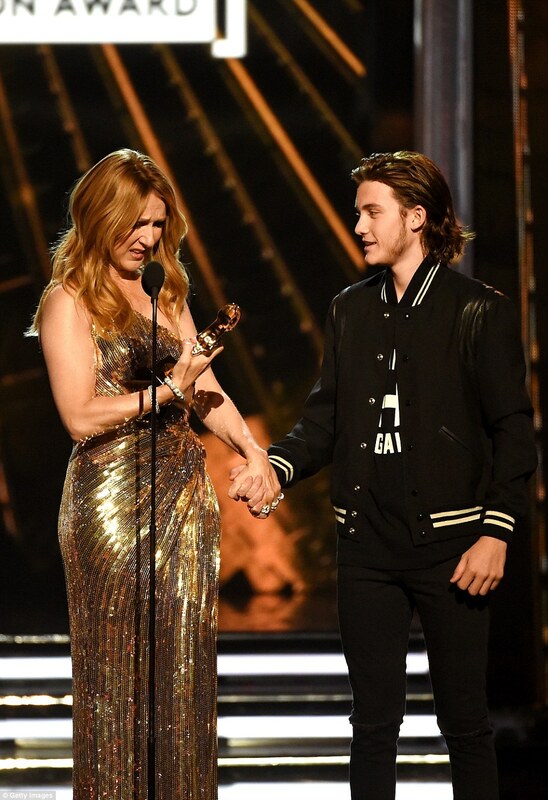 Celine Dion broke down in tears after her son made a surprise appearance on stage to present her with the Icon award at Sunday night’s Billboard Music Awards. The 48-year-old made her first televised singing performance since the death of her husband, Rene Angelil, and her brother in January. In a poignant move, she performed a cover of his favourite song, Queen’s The Show Must Go On. ‘I don’t want to cry in front of you,’ she then said to her son. After the ceremony, Celine reflected on the emotional moment. ‘To try to perform that song without collapsing was big enough,’ she told Entertainment Tonight. ‘Even though I did not want to cry, he understands it’s okay because it is therapeutic and you can’t take so much pressure,’ she continued. Meanwhile, TMZ reported that Céline is now the official administrator of René’s vast estate. Documents show that the 48-year-old has control over their two estates – which are up for sale – in Florida and Quebec, as well as others. René was also very generous to his children – of which he has three, from his marriage to Céline as well as two previous ones – leaving homes to two of his children from his first marriage. The will also shares that once the $45M home in Florida and $25M castle in Quebec are sold, $9M will go to a trust, most likely for his three children with Céline.